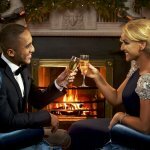 A Cracker of a Christmas Competition! 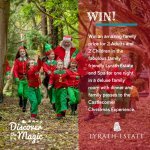 Win an Overnight Stay at Lyrath Estate! Now that’s how you kick off the festive season! 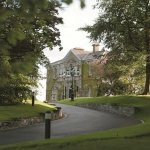 Lyrath Estate is a stunning Hotel located just 5 minutes from Kilkenny City Centre. The historic 17th Century House has been lovingly restored to stunning effect, and sits elegantly alongside the dramatic design of the contemporary hotel, in a striking architectural example of the successful marriage of old and new. This multi-award winning hotel and spa has 139 rooms and incorporates the Kilkenny Convention Centre. 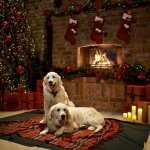 The lucky winners of this prize will also win a family pass for Ireland’s favourite Christmas Experience at Castlecomer Discovery Park. Just a 90-minute drive south of Dublin, the Kilkenny based Discovery Park is renowned for their dedication to creating a world festooned with seasonal cheer, with decorative lighting and effortless style to create a truly memorable festive encounter. This season is no exception and offers a complete Christmas experience at great value. Start your adventure at the North Pole Station and take a rambling train ride through the incredibly enchanted woodlands on board the Santa Express, where the twinkling light displays amongst the trees is a sight for sore eyes. This year the Discovery Park have hundreds of new light installations to really crank up the festive factor. The duration of the Christmas experience is approximately 90 minutes, at a relaxed and enjoyable pace, making sure you can take time to soak up every ounce of magic from beginning right through to the end. Families are welcome to return to the elf village to spend more time at play. Visit the stunning Lyrath Estate website here!